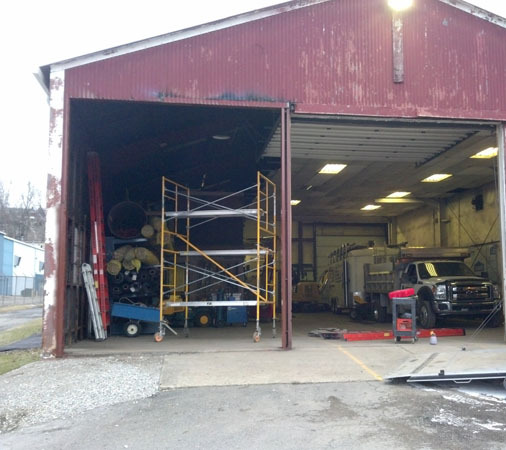 Kudas Industries was contracted to modify a steel building to accept a 12' wide x 14' tall commercial garage door. 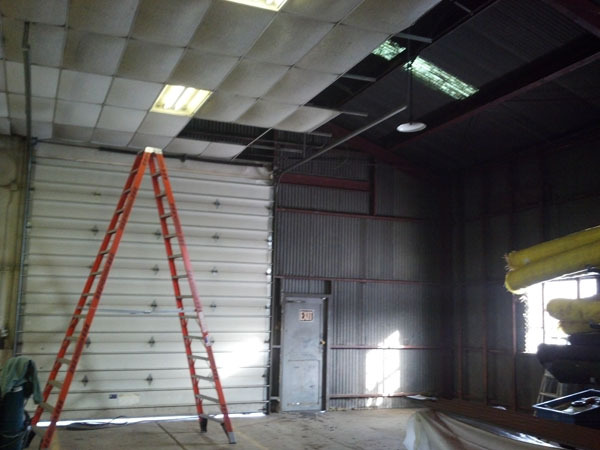 The paneling on the side of the building and the structural cross members were removed to create the opening. Then 6" steel channels were welded into place to create the frame for the door tracks and spring mechanism. 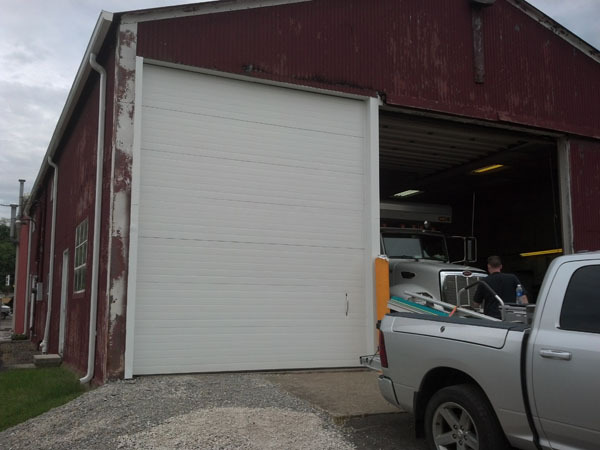 After the frame was painted, the door was installed, and Kudas Industries made and installed custom aluminum flashing to weatherproof the frame and provide an appealing aesthetics. 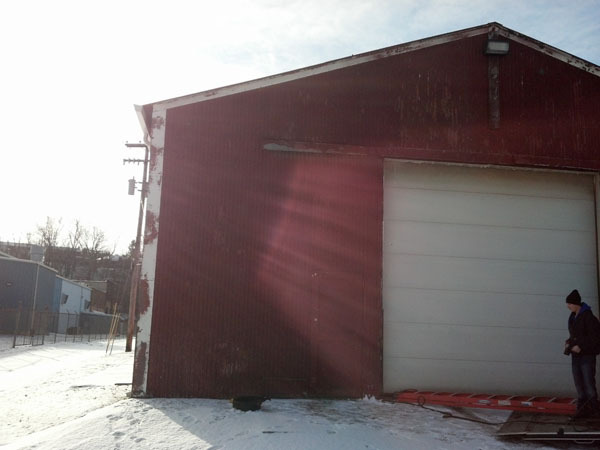 Exterior of Building Before the New Opening Was Cut. As Found Interior of Building. Door Installed with Aluminium Trim.